As a fully licensed vehicle operator , we wish to offer our a special services. Our highly qualified English speaking drivers will ensure that your journey is safe and comfortable, and they will be perfect companion during your travel. They are always on time and they are well informed. Opening doors, helping with luggage, airport gate greeting and the suit&tie attire are standard while using our service. Also we offer you wide range of best quality vehicles which suit any occasion and correspond well with your business status. All prices are in Euro (€) / Polish Zloty (PLN) whole your group per run. Click contact and describe your expectations – We will send you our offer. We know how important it is to have reliable partners in business. 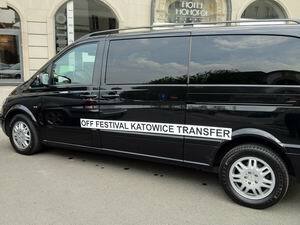 Your clients and staff can be assured of a prompt service by the most professional chauffeurs in Krakow. We use only Mercedes cars which are modern, comfortable, air-conditioned and fully insured – accident insurance and liability insurance business. Since the company establishment we have supported movies production to carry passengers. We cooperate with film production companies. Click ” Contact” and describe your expectations – We will send you our offer. Since the company establishment we have supported cultural events and music to carry passengers. We cooperate with big companies, corporations, and individual organizers of events, concerts or festivals. Click contact us and describe your expectations – We will send you our offer. WE are flexible, reliable and punctual – a team of experienced and polite crew is at your service at all times. Around Krakow feedback we\'ve been given speaks for itself. At all times – Around Krakow have been issued the appropriate certificates by both, The Motor Transport Institute and the local authorities.